The cinematic sounds of Yoann Lemoine have been lapped up by worldwide audiences (125,000 Facebook fans and counting) since we first Surfaced his Woodkid guise back in April 2011. You'll probably have heard 'Iron' and 'Run Boy Run' already, both having appeared in prominent trailers and adverts, but perhaps not recent track, 'The Deer'. Listen to the tracks below. Lemoine's musical project has become so well known that it's arguably ousted his reputation as a top class music video director (working with the likes of Lana Del Rey, Katy Perry and Mystery Jets) to the back of his CV. 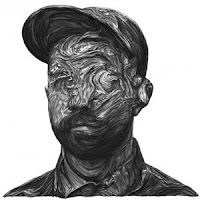 Although the beauty of Woodkid is that he can also direct his own incredible videos, as evidenced by 'Iron', which is a "must watch" music video. His live act looks suitably epic, with the below video showcases his extraordinary ability to mix sound and visuals. Performing 'Baltimore's Fireflies' and 'Statab Mater' with an orchestra at Le Grand Rex in Paris, the video is an insight into the potential of his only UK show this year - live in London on 15th November, limited tickets here. The two tracks performed live in the vid are likely to appear on forthcoming album 'The Golden Age', and along with the other available tracks, will have to tide us over till early next year at the earliest. 'The Deer' combines Lemoine's love of organs and melancholy for another engrossing slice of film score melodrama. Download 'The Deer' at lesinrocks.com - on the "cliquez ici" link. Find more info at facebook.com/Woodkid.